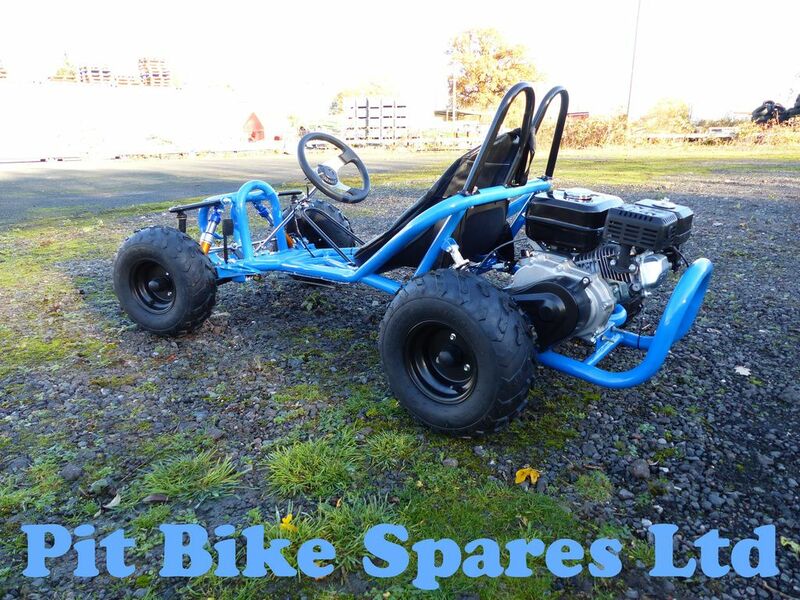 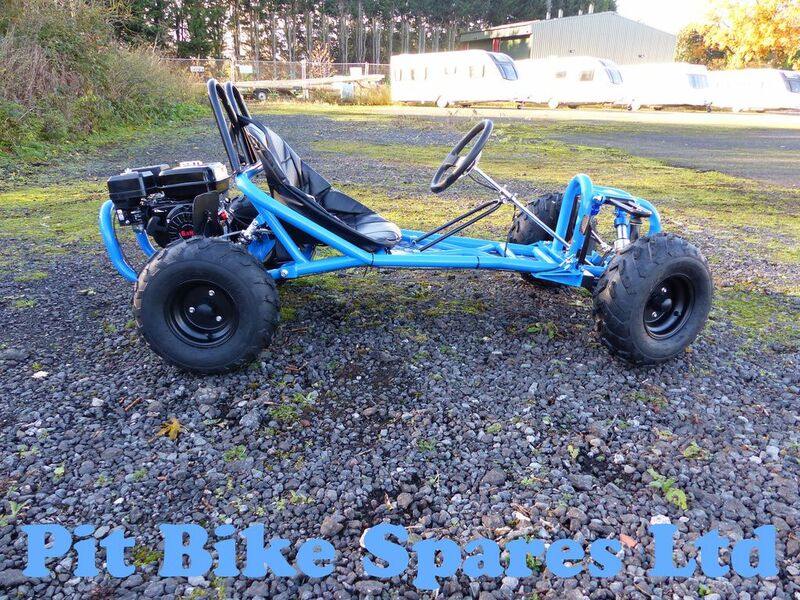 Here we have our 200cc 6.5hp Off Road Drift Kart. 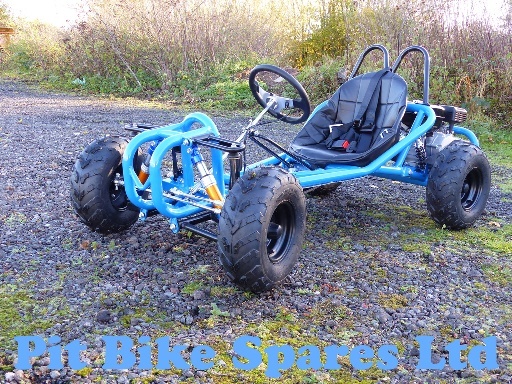 These are powered by Honda Clone pull start engines and chain drive. 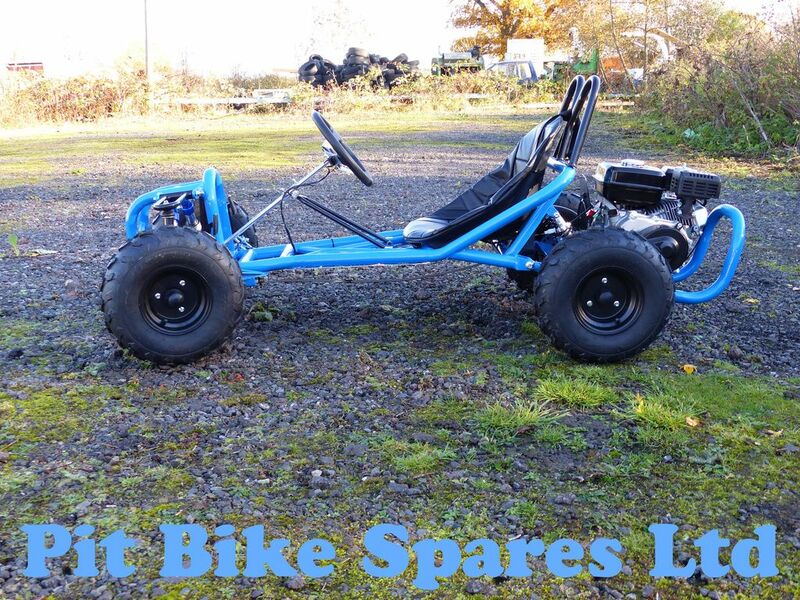 The engines are the proven Honda clone as used in multiple applications and have proven bullet proof in our own testing. 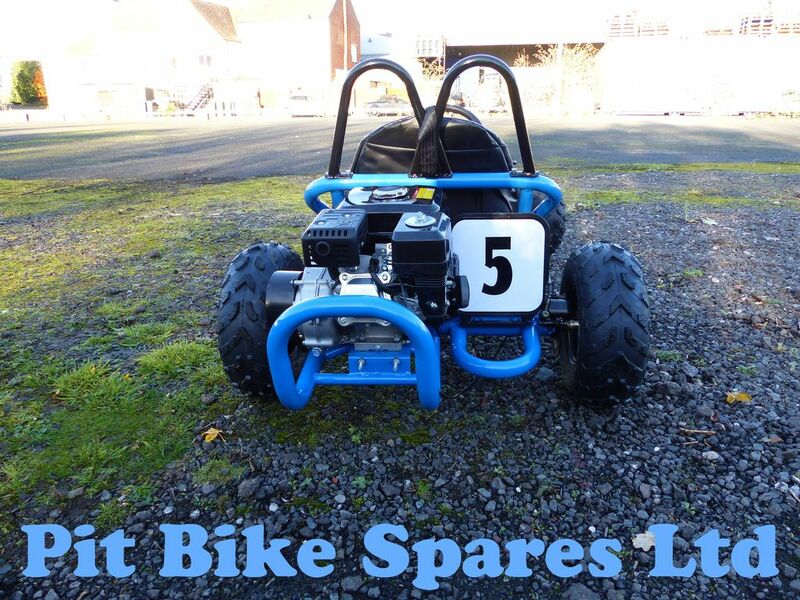 These are supplied still governed and in tests at a Go Kart track they were quicker than the un governed 200cc genuine Honda powered karts. 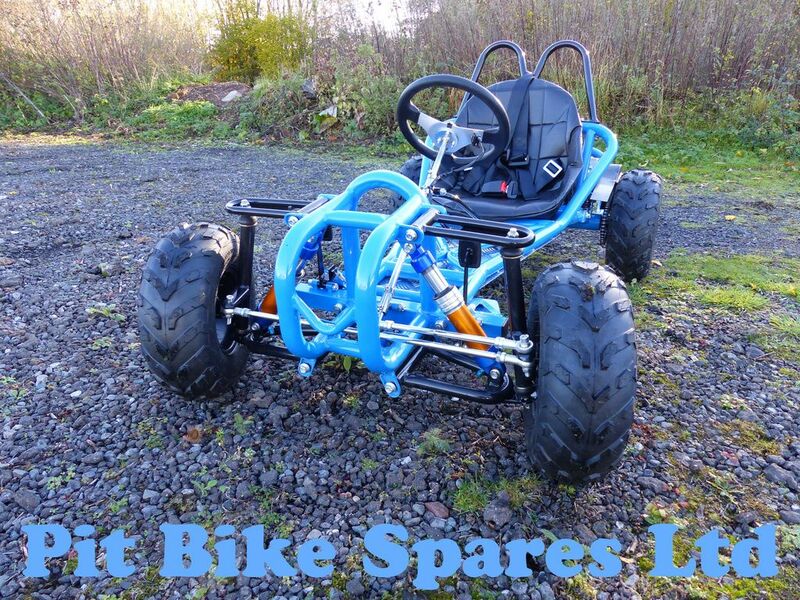 Part of this is the power to weight ratio as these only weigh 75kg and Karts are 120-130kg. 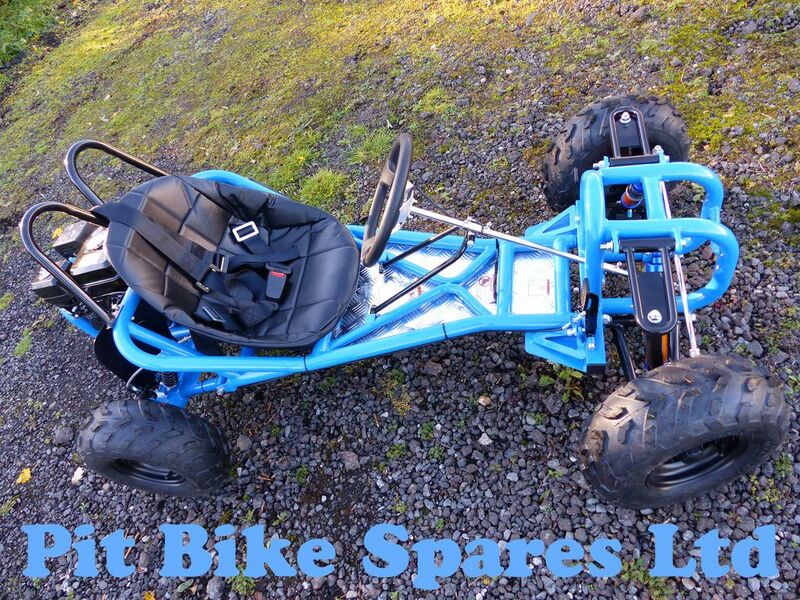 These have wet clutch, bucket seat with harness, front and rear suspension.